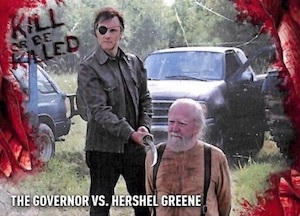 Taking their TWD products to the high-end collecting realm, 2016 Topps Walking Dead Survival Box averages one hit per mini box and four or five hits per master box. 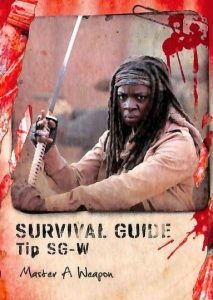 Immediately making the premium focus clear, the base cards in 2016 Topps Walking Dead Survival display characters from the first six seasons of the series with a hearty card stock. 25 Short Print Variations add to that with different images for key subjects. Unique base parallels include Infected (#/99), Rotten (#/25), Maggots (#/10), and Bone (1/1) along with Printing Plates. 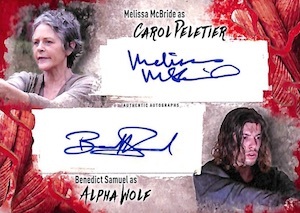 The 2016 Topps Walking Dead Survival Box hits cover autographs, relics and sketch cards. Signed cards come as on-card, single-subject Autographs (and parallels) as well as Dual and Triple Autographs that include stickers. 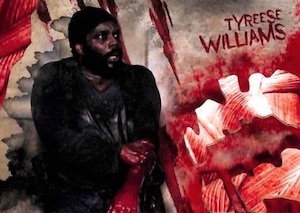 Sketch cards were intended to showcase artistic interpretations of characters from the first six seasons, but they were removed from the final product. 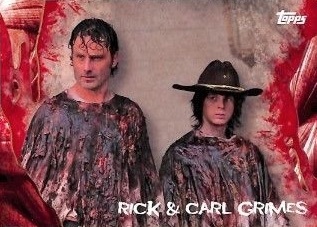 Utilizing actual costumes from The Walking Dead, collectors can find Relics (and parallels), Dual Relics and Autograph Relics. 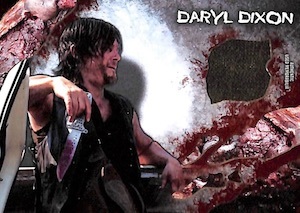 Lastly, featuring ominous insert themes such as Kill or Be Killed, Survival Guide and Walker Bite Cards, 2016 Topps Walking Dead Survival Box also includes limited parallels: Rotten (#/25), Maggots (#/10), Bone (1/1) and Printing Plates. While each mini box of 2016 Topps Walking Dead Survival Box has one hit, some will also deliver a second hit. PARALLEL CARDS: Infected #/99, Rotten #/25, Maggots #/10, Bone 1/1, Printing Plates 1/1. 9 cards. Extra case hits. PARALLEL CARDS: Rotten #/25, Maggots #/10, Bone 1/1, Printing Plates 1/1. 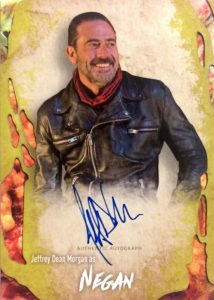 Shop for 2016 Topps The Walking Dead Survival Boxes on eBay. Is there a list with pictures of short print cards #1-25 from base set? 2016 Topps The Walking Dead Survival Factory Sealed Hobby Box. 4 Hits per box.